Get your costumes ready for the team parade! Parking is free in the casino garage for participants and guests. 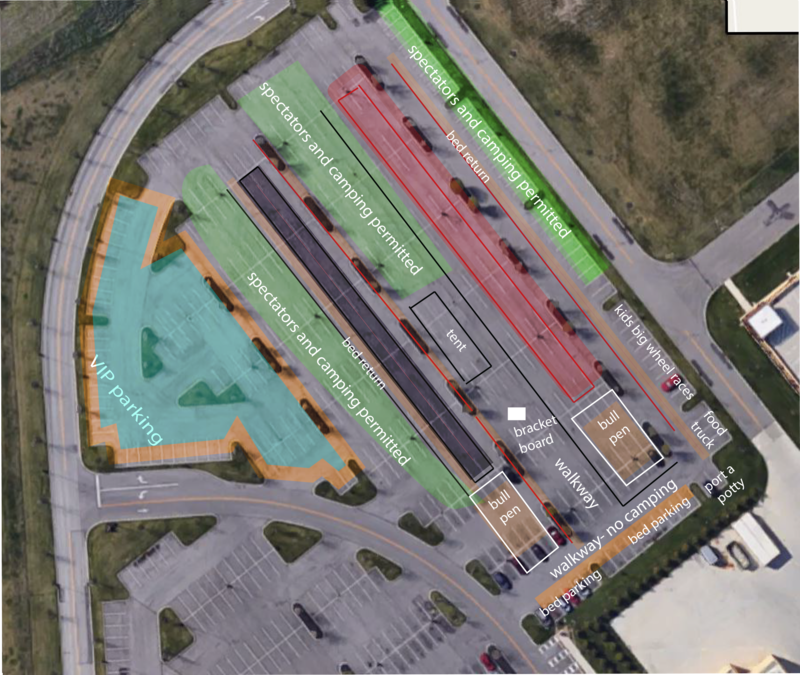 Once in the garage, take the south stairway exit to get to the employee parking lot- away from the casino entrance. After exiting the garage, look for the large white tent. Please plan on allowing approximately 5-10 minutes to get to the race registration tent once you arrive at the casino. Where can I check the bracket? The brackets will be located near the starting line and the large tent. These are the official standings. You will also be given a bracket at check-in for tracking your own team’s progress. How do I know when it’s my team’s turn to race? Follow the races for the teams in your flight/pool on the bracket schedule. Announcements will also be made. Yes, but they must be leashed and in your control at all times. Yes, you are encouraged to bring your own seating- folding camping chairs, blankets etc. as seating is not provided. Tents are welcome in areas green designated on this Site Map. Is there food or water? Yes- there are several food trucks at the event to purchase food and beverages. Racers will receive bottled water.